With its unique mechanical and chemical properties, molybdenum is an outstanding material that can meet the most exacting requirements. Because molybdenum possesses a very high melting point, a low coefficient of thermal expansion and a high level of thermal conductivity, it is used in many different industries. Molybdenum is a genuine all-rounder. We use this material, for example, to produce ribbons and wires for the lighting industry, semiconductor base plates for power electronics, glass melting electrodes, hot zones for high-temperature furnaces and sputtering targets for coating solar cells and flat screens. You can rely on our quality. 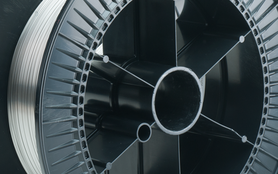 We produce our molybdenum products ourselves – from the metal oxide right through to the finished product. As our input material, we use only the purest molybdenum oxide. This ensures that you benefit from a very high level of material purity. Find out for yourself. Our molybdenum is exceptionally pure, withstands very high temperatures and is nevertheless still easy to machine. For example,to produce crucibles for all the conventionally employed processes in the field of sapphire growth. Thanks to their exceptional purity, these have proved their worth as optimized melting and solidification vessels. Our stirrers homogenize all types of glass melt. To do this, they must withstand extreme temperatures and aggressive glass melts. Molybdenum makes it possible. With its excellent dimensional stability and corrosion resistance against metal and glass melts, our material ensures optimum stirring coupled with long product service lives. High power densities and the flow of electricity through power diodes and transistors generate heat. Thanks to its good thermal conductivity and thermal expansion properties that are adapted to the relevant semiconductor material, molybdenum and its alloys are the perfect substrate for power electronics. When used as a base plate, molybdenum reliably dissipates heat. Pure molybdenum - or maybe an alloy? 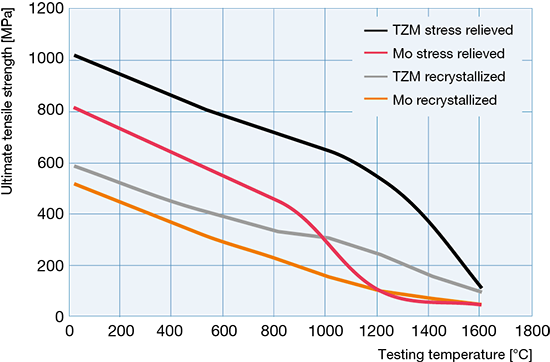 We transform our molybdenum into TZM by using small quantities of tiny, extremely fine carbides. 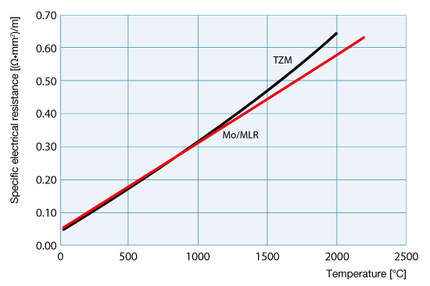 TZM is stronger than pure molybdenum and possesses a higher recrystallization temperature and better creep resistance. TZM is used in high-temperature applications involving demanding mechanical loads, for example in forging tools or as rotating anodes in X-ray tubes. The recommended temperatures of use are between 700 and 1 400 °C. MHC is a particle-reinforced molybdenum-based alloy which contains both hafnium and carbon. Thanks to the uniformly distributed, extremely fine carbides, the material benefits from outstanding heat and creep resistance and, at 1 550 °C, the maximum recommended temperature of use is 150 °C higher than that of TZM. MHC is used in metal forming applications, for example. When used in extrusion dies, it is able to withstand extreme thermal and mechanical loads. 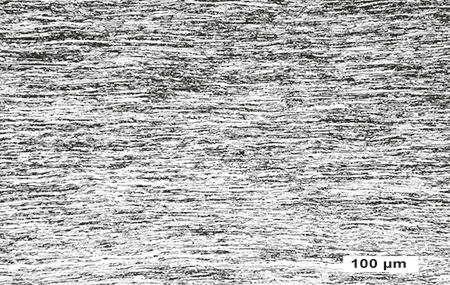 Small quantities of lanthanum oxide particles (0.3 or 0.7 percent) give the molybdenum a so-called stacked fiber structure. 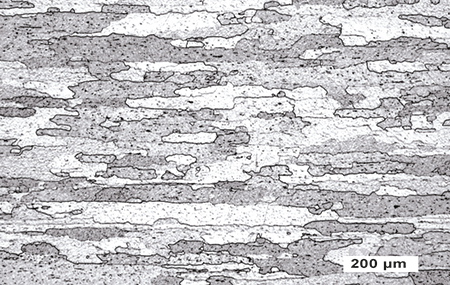 This special microstructure is stable at up to 2 000°C. Molybdenum-lanthanum oxide is therefore also creep-resistant even under extreme conditions of use. We mostly machine these alloys to produce furnace components such as stranded and other wires, sintering and annealing boats or evaporator coils. In the lighting industry, molybdenum-lanthanum oxide is used, for example, for retaining and feed wires. MoILQ is a microdoped molybdenum alloy with a lanthanum oxide content of only 0.03 percent by weight which has been specially developed for use in the lighting industry. 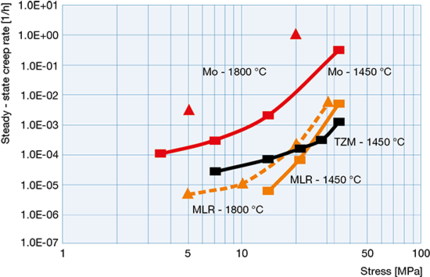 Thanks to its specially adapted dopant content, its recrystallization temperature is higher than that of pure molybdenum. After recrystallization, its microstructure is also more fine-grained than in the case of pure molybdenum. 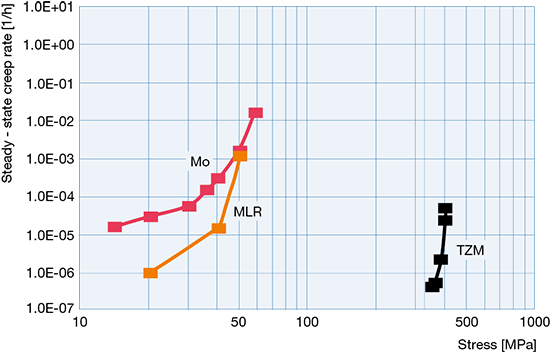 Compared to our ML material, MoILQ is more suitable for forming and therefore easier to process. MoILQ is used for the core and support wires in the manufacture of filaments for incandescent and halogen lamps. Our MY is a particle-reinforced molybdenum alloy that contains 0.47 percent yttrium oxide by weight and 0.08 percent cerium oxide by weight. We developed MY specially for use in the lighting industry. MY adheres well to quartz glass, is easy to weld and provides better resistance to oxidation than pure molybdenum. MY is primarily used in conductive ESS ribbons and in evaporation boats for applications in the field of coating technology. Tungsten is improved by the high-temperature properties and corrosion resistance of our molybdenum. Available in different compositions from MW20 with 20 percent tungsten by weight to MW50 with 50 percent tungsten by weight, our MoW materials are primarily used for the manufacture of zinc as well as for stirring tools in the glass industry. In addition, we use our MoW alloys to produce sputtering targets for coating flat screens. 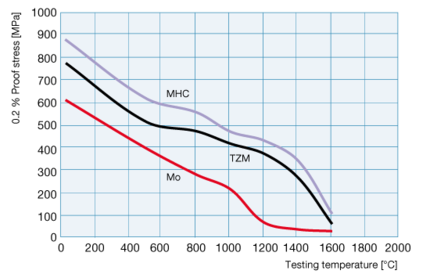 MoW layers possess enhanced etchability, a property which is of value for the manufacture of thin-film transistors. 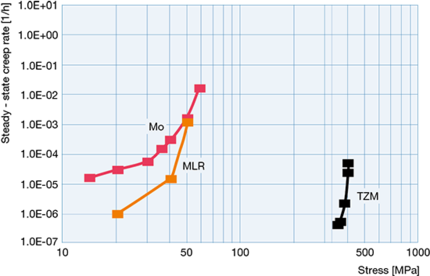 Small quantities of rhenium make molybdenum ductile even below room temperature. Molybdenum-rhenium (MoRe) is primarily used for thermocouple wires in the standard compositions MoRe5 and MoRe41 as well as in applications where a high level of ductility is important. Molybdenum-copper (MoCu) is a composite material which contains up to 30 percent copper by weight. This composite combines the high thermal conductivity of copper and the low thermal expansion of molybdenum. Our MoCu is perfect for the manufacture of passive cooling elements (heat sinks and heat spreaders) in electronic components. Due to their low weight, molybdenum-copper composites are particularly suitable for this type of application where every gram counts: In the automotive industry they are used as carrier plates for the IGBT modules that act as inverters in electric drives. 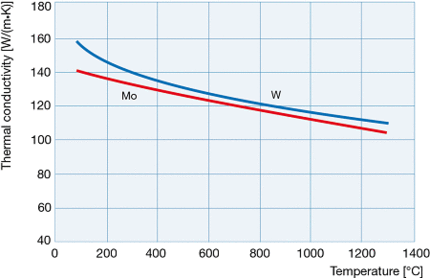 Glass melting electrodes must withstand aggressive glass melts and very high temperatures. By adding 1.7 percent zirconium oxide by weight, we have endowed our molybdenum with properties that are of particular value for the glass industry. 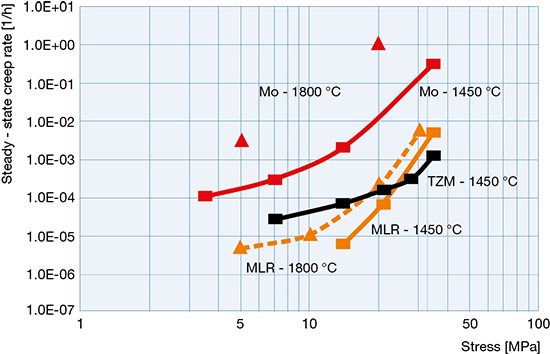 MoZrO2 offers better corrosion resistance against glass melts, greater stability at high temperatures and better creep resistance than pure molybdenum. Our molybdenum sputtering targets are used to produce thin functional layers for flat screens. In the case of touch panels, in particular, a high level of corrosion resistance is essential. 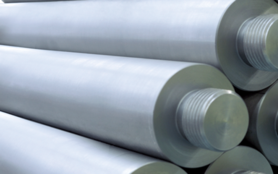 We therefore add the alloy element niobium to our all-round star, molybdenum, in order to achieve a particularly high level of corrosion resistance. You want to combine high corrosion resistance and easy structuring of the sputtered layer? Then we recommend our MoTa alloy. A good all-rounder. 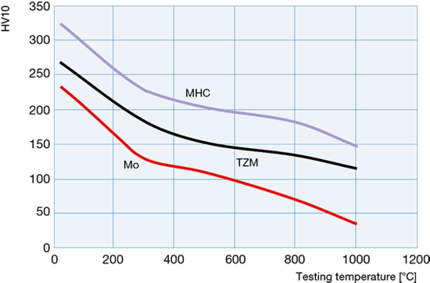 Material properties of molybdenum. Molybdenum belongs to the group of refractory metals. Refractory metals are metals that have a higher melting point than platinum (1 772°C). 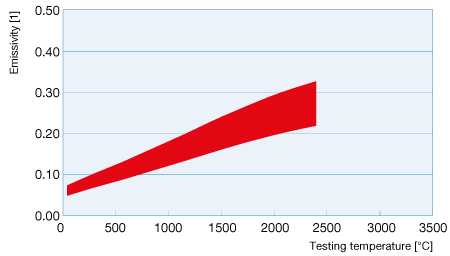 In refractory metals, the energy binding the individual atoms together is particularly high. Refractory metals have a high melting point coupled with a low vapor pressure, high modulus of elasticity and high thermal stability. Refractory metals are also typically characterized by a low coefficient of thermal expansion and relatively high density. The fact that molybdenum belongs to the same group as tungsten in the periodic table means that it has a similar atomic structure and chemical properties. 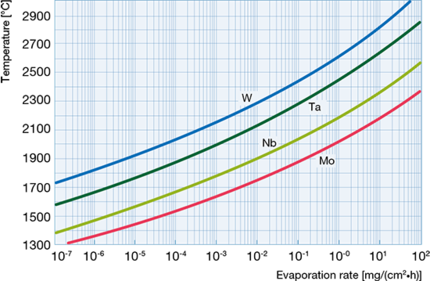 The excellent thermal conductivity of both molybdenum and tungsten is also of particular interest. 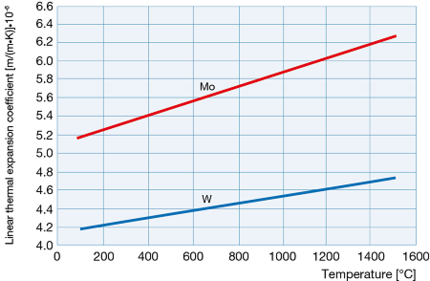 However, molybdenum is easily deformable even at quite low temperatures and is therefore simpler to work than tungsten. We are able to influence the properties of our molybdenum and its alloys by varying the type and quantity of alloy elements that we add as well as by using tailor-made production processes. 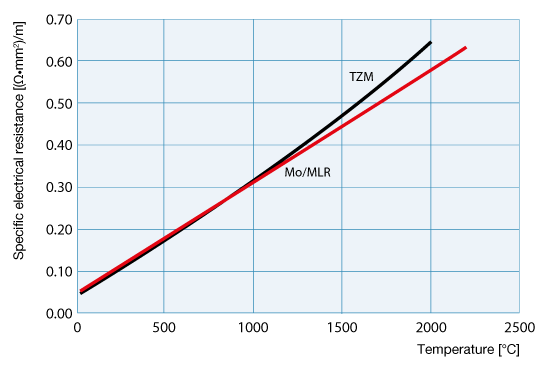 The carbides that we specifically include in our TZM and MHC materials modulate the mechanical properties of molybdenum across all temperature ranges. In particular, oxides increase the recrystallization temperature and creep resistance of the molybdenum. Rhenium makes molybdenum ductile even at room temperature. 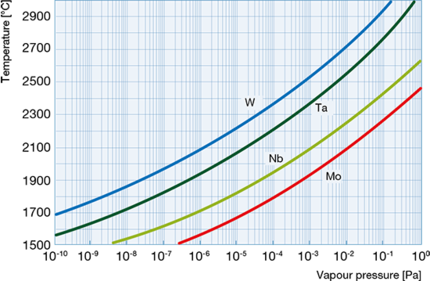 Copper increases the thermal conductivity without having any serious effects on the coefficient of expansion. Refractory metals are typically characterized by a low coefficient of thermal expansion and relatively high density. The same is true of molybdenum. This material is also characterized by a high level of thermal conductivity and low electrical specific resistance. 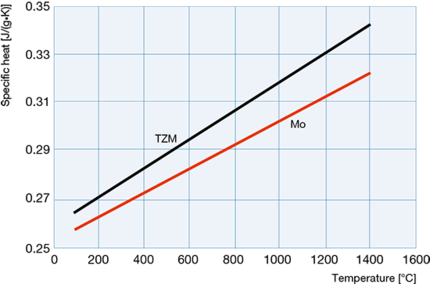 Molybdenum atoms are strongly bonded and the element has a higher modulus of elasticity than many other metals. 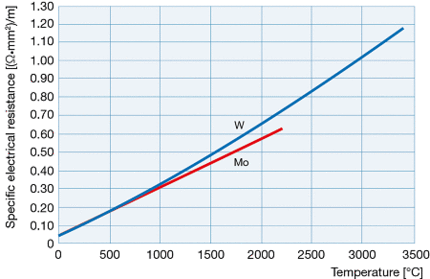 The thermophysical properties of molybdenum change with temperature. The graphic summarizes the temperature-dependent values of emissivity of molybdenum (shown as red scatter band). Experimentally measured values of Plansee samples in typical as-delivered condition can be found on the upper end of the scatter band. The specific electrical resistivity of a material is the multiplicative inverse of its electrical conductivity. The lower the value of the specific electrical resistivity of a material, the better is its conduct current. 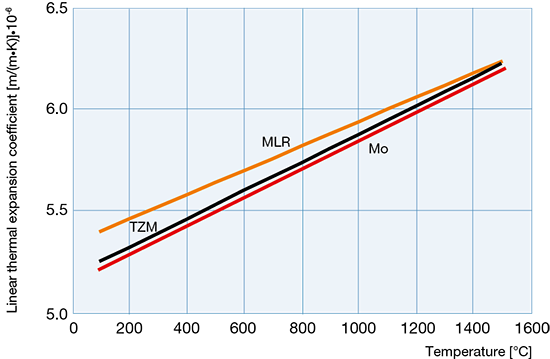 The specific electrical resistivity is measured in Ωmm²/m. Metals show very different specific electrical resistivities. An example: silver 0.016 Ωmm²/m; titanium 0.8 Ωmm²/m. The temperature, alloying elements, impurities and defects of the respective material strongly influence the specific electrical resistivity. 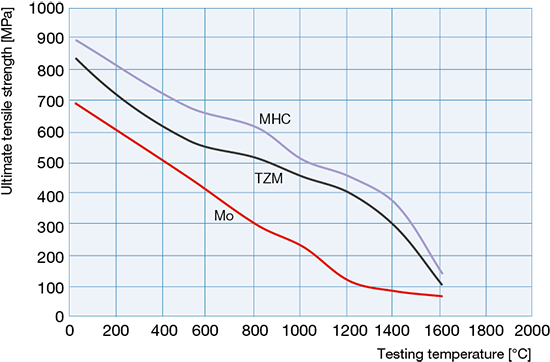 Our high performance materials molybdenum and tungsten show a very low specific electrical resistivity: appr. 0.05 Ωmm²/m at room temperature and even less then 0,5 Ωmm²/m at a temperature of 1,500°C. Therefore our metals are best suitable for the use as contact and coating materials. 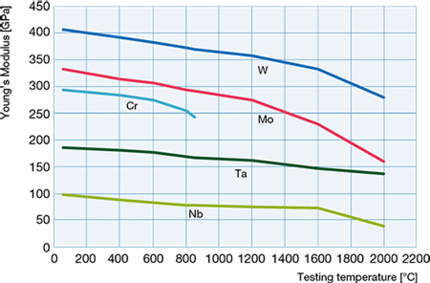 As molybdenum and tungsten have a cubic crystal lattice, the specific electrical resistivity shows the same value in all crystallographic orientations. Due to its high melting point of 2 620 °C, molybdenum retains its strength and creep resistance even at high temperatures. The strength of molybdenum increases even further the more the material is cold-worked. 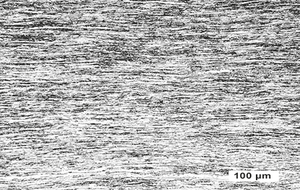 In contrast to that of other metals, the ductility of molybdenum materials also increases with increasing cold working. We add rhenium as an alloy element to increase the ductility of molybdenum and to reduce its brittle-ductile transition temperature. We also use titanium, zirconium, hafnium, carbon and oxides of rare earths as alloy components to add to our molybdenum. 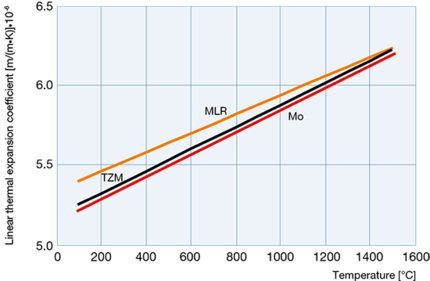 Compared to other metals, the modulus of elasticity of molybdenum and its alloys is very high due to the strong bonds between the molybdenum atoms. This means that we are able to create a variety of materials with very specific ranges of properties. 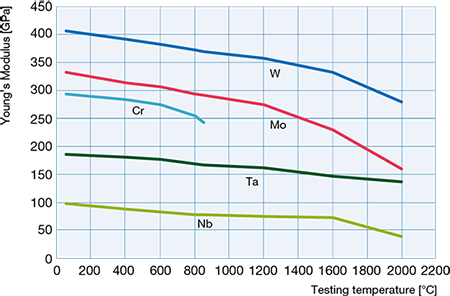 refractory metals: tungsten, tantalum and niobium. 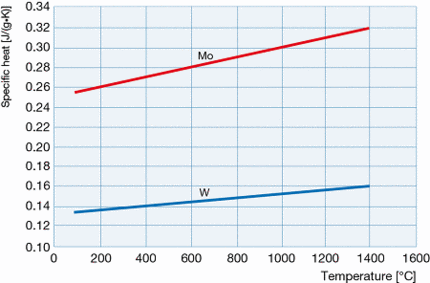 If molybdenum is heated above a certain temperature then it loses its brittleness and becomes ductile. 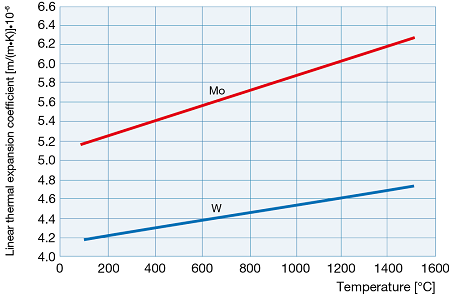 This temperature that is required to bring about the transition from brittleness to ductility is known as the brittle-to-ductile transition temperature. It depends on various factors including the chemical composition and level of cold working of the metal. 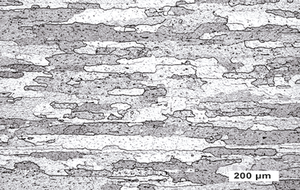 The ductility and fracture toughness of molybdenum materials decrease as the recrystallization level increases. This means that the recrystallization temperature is a decisive factor. Above the recrystallization temperature, the structure of the material changes. This restructuring of the grain reduces the strength and hardness of molybdenum and increases the likelihood of fractures. Demanding forming processes such as rolling, swaging or drawing are necessary in order to restore the initial structure. 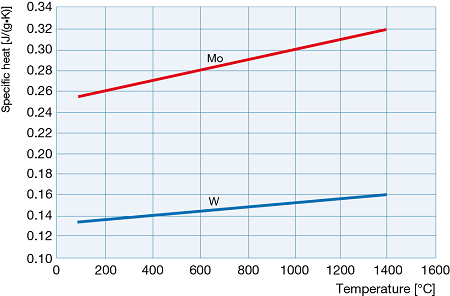 The recrystallization temperature is highly dependent on the level of cold working of the molybdenum and on its chemical composition, and in particular its dopant content. 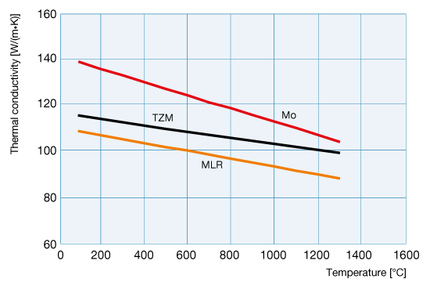 The table below summarizes the typical recrystallization temperatures of basic molybdenum materials. During the forming and machining of molybdenum and refractory metals in general, it is important to possess a good understanding of the special properties of this group of materials. If forming processes such as bending or folding are used, then these must be employed above the brittle-ductile transition temperature to ensure that the sheet can be safely worked without risk of fissuring. 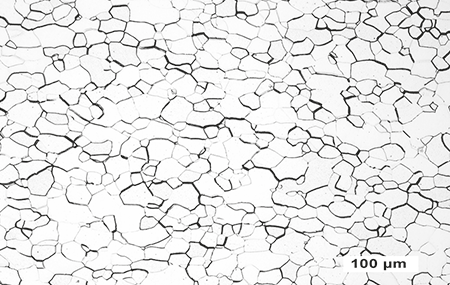 The thicker the sheet, the higher the temperature that is required for fissure-free forming. Molybdenum is also perfectly suited for cutting and punching operations provided that the tool is properly sharpened and the preheating temperature is correctly adjusted. However, cutting processes can also be performed without problem at extremely robust, powerful machines. If you have any special questions relating to the forming and machining of refractory metals, we would be glad to assist you with our many years of experience. The excellent chemical resistance of molybdenum and its alloys is particularly appreciated in the chemicals and glass industries. At an atmospheric humidity of under 60 %, molybdenum is corrosion-resistant. Only at higher levels of humidity does discoloration start to occur. In alkaline and oxidizing liquids, molybdenum loses its resistance at temperatures of over 100 °C. For applications in which molybdenum is used in oxidizing gases and elements at over 250 °C, we have developed the Sibor® protective layer to prevent oxidation. Glass melts, hydrogen, nitrogen, noble gases, metal melts and oxide ceramics do not attack molybdenum even at very high temperatures or have a less aggressive effect than they do on other metallic materials. The table below indicates the corrosion resistance of molybdenum. Unless indicated to the contrary, the specifications relate to pure solutions not mixed with oxygen. Tiny concentrations of extraneous chemically active substances can significantly affect the corrosion resistance. Do you have any questions regarding complex corrosion-related topics? We would be delighted to help you with our experience and our in-house corrosion laboratory. Please note that in atmospheres containing oxygen, in particular, a high level of oxidation occurs at temperatures over 400 °C. 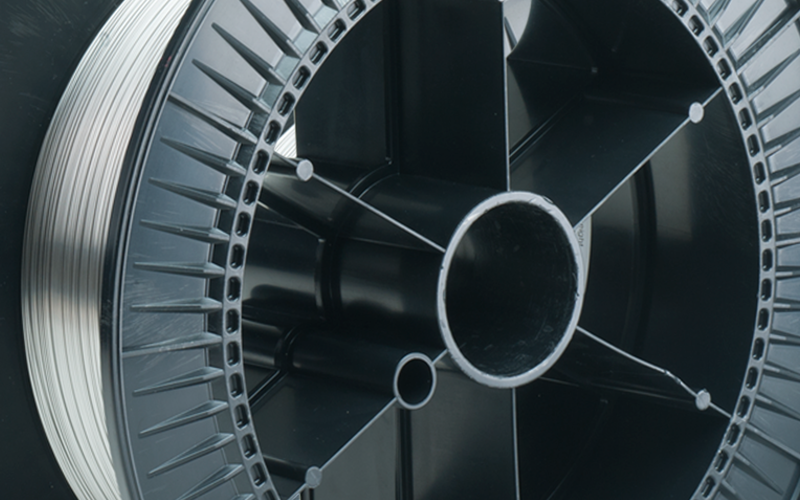 With special coatings such as Sibor®, we prevent the oxidation of molybdenum. The addition of up to 30 percent by weight of tungsten as an alloy component significantly improves the corrosion resistance of molybdenum, for example in zinc. Molybdenum has been known since the 3rd century BC. However, at that time, the term "molybdaena" was used to refer to graphite and galena which was confused with (naturally occurring) molybdenite. It was not until the 17th century that scientists realized that molybdaena had no lead content, and in 1778, Carl Wilhelm Scheele used nitiric acid to produce white molybdenum oxide (MoO3). Scheele named the white precipitate "terra molybdaenae" (molybdenum earth). In 1781, Peter Jakob Hjelm succeeded in reducing molybdenum oxide for the first time. The result: Metallic molybdenum. However, we have Jöns Jakob Berzelius to thank for the chemical symbol and our knowledge of the chemical properties of molybdenum. Pure molybdenum was produced for the first time at the beginning of the 20th century by reducing molybdenum trioxide (MoO3) with hydrogen. The most important minerals used for the manufacture of molybdenum are molybdenite (MoS2). The world's largest molybdenum reserves can be found in North and South America and China. In the copper mines of Chile, molybdenite is extracted as a by-product of the country's copper mining operations. These ores have a molybdenum content of approximately 0.5 percent by weight. The accompanying minerals are separated from the molybdenum using the so-called flotation process. After being subjected to this method, the concentrate contains on average approximately 85 % molybdenite (MoS2). This concentrate is roasted at 600 °C. 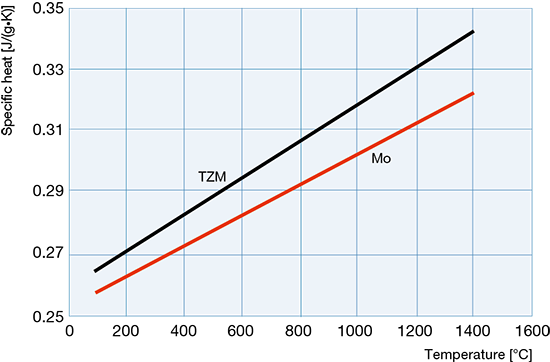 The molybdenite (MoS2) is oxidized to form molybdenum trioxide (MoO3). With our holding in the Chilean company Molibdenos y Metales (Molymet) we have made an important step towards safeguarding our long-term supply of molybdenum. Molymet is the world's largest processor of molybdenum ore concentrates. Did you know that molybdenum concentrate contains approximately 0.1 % rhenium? During the roasting process, this rhenium is sublimated as rhenium heptoxide (Re2O7) and is retrieved in the dust separator as a by-product of the molybdenum preparation process. How do we do it? With powder metallurgy! So what is powder metallurgy? It is well known that nowadays most industrial metals and alloys, such as steels, aluminum and copper, are produced by melting and casting in a mold. In contrast, powder metallurgy does away with the melting operation and the products are manufactured by compacting metal powders which are then subjected to a heat treatment (sintering) below the melting temperature of the material. The three most important factors in the field of powder metallurgy are the metal powder itself as well as the compacting and sintering operations. We are able to control and optimize all these factors in-house. Why do we use powder metallurgy? Powder metallurgy allows us to produce materials with melting points of well over 2 000 °C. The procedure is particularly economical even when only small quantities are produced. In addition, by using tailor-made powder mixes, we can produce a range of extremely homogeneous materials endowed with specific properties. The molybdenum powder is mixed with the possible alloy elements and then filled into molds. The mixture is then compacted at pressures of up to 2 000 bars. 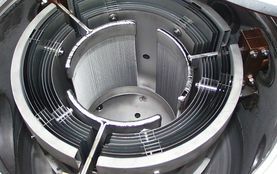 The resulting pressed part (also known as a "green compact") is then sintered in special furnaces at temperatures of over 2000 °C. During this process, the part acquires its density and its microstructure forms. The very special properties of our materials - such as their excellent thermal stability, their hardness or their flow characteristics - are due to the use of the appropriate forming methods, for example forging, rolling or drawing. Only when all these steps dovetail perfectly can we achieve our exacting quality demands and manufacture products of outstanding purity and quality.